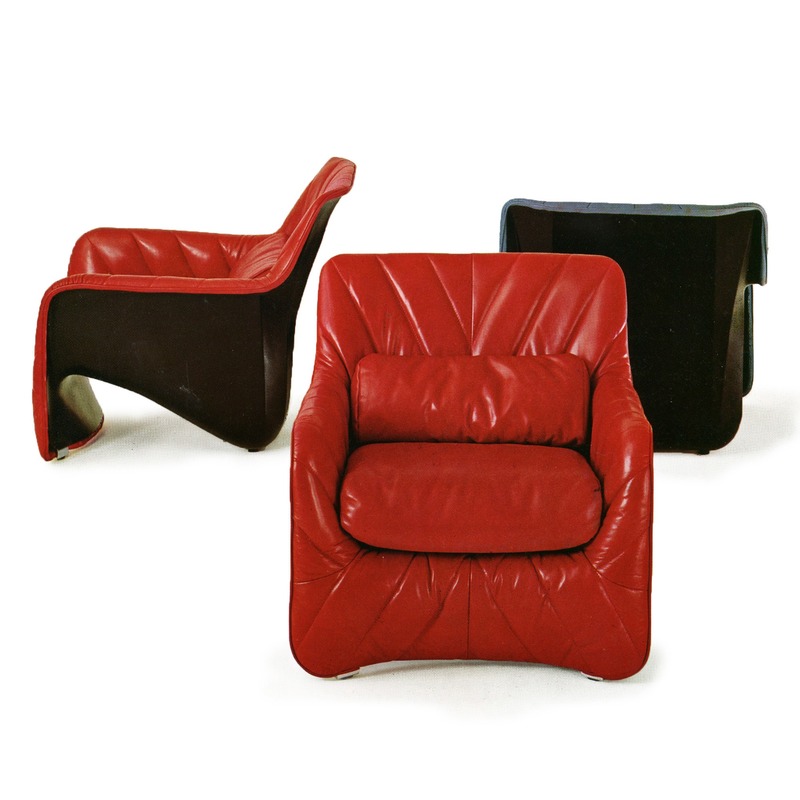 The Bicia armchair was made of the furniture at a theater-cabaret Florence, but was then placed in regular production by Arflex. In many ways is a continuation of the experience made with Gaia chair. However, where the padding in Gaia was optional, in Bicia it forms an integral part of the drawing: the fiberglass shell (a larger shell V-shaped) is filled by padding, applied with a perimeter fastening system devised by Carlo Bartoli, a detail in which it appears his taste to study the technical details.